We created a program called Travel as a volunteer to The Gambia, which enables volunteering, visiting and experiencing the real Gambia without strict conditions, specific education, experience and time limits. It’s our belief that anyone, who would like to spend some time with children and meet friendly locals, deserves this opportunity. 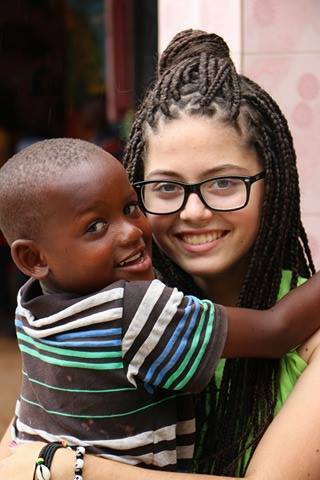 There are many people, who spend their whole lives dreaming about volunteering in Africa and we are here to help make these dreams come true. The International Summer School has been organized for the third year now by humanitarian organization Charity Pearl the Gambia, founded by Musa Faal from Barra and took place at Mobe-ta Primary & Nursery School from 4. 7. 2016 until 29. 7. 2016. The activities and the program were prepared by educators in collaboration with other participants of the international summer school camp 2016. It was open to all children up to the age of 12 years from the Dippa Kunda area. The school camp was free of charge for all children, and each child received a meal and juice every day. We wanted children to gain knowledge that will help them in their future and education. We wanted them to upgrade their English language skills, to be creative, to get musical education and do sports activities. Everything was done under professional supervision of local teachers and in a creative environment, in small groups and through playing. We hosted 14 volunteers from Slovenia. Slovenia is a small country in Europe surrounded by Austria, Italy, Hungry and Croatia. There was also a Finnish volunteer, who is currently living in Spain, with her 2 children and a volunteer from Thailand. 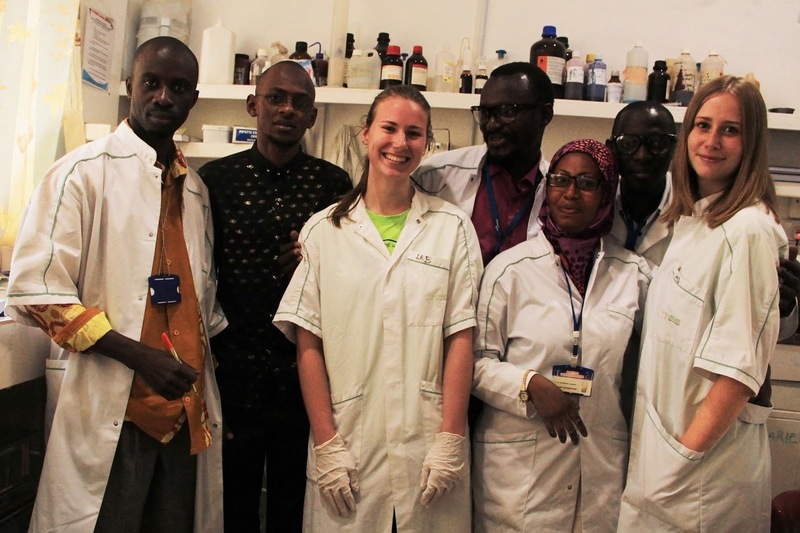 2 Slovenian volunteers got the opportunity to work at Africmed clinical laboratory. Africmed Clinical Services provides a comprehensive one-stop full medical examination using modern equipment and attend all emergency cases, including occasional home visits and provide overseas referrals. Special thanks goes to Dr. Omar Jagne, CEO Africmed Clinical Services. All Gambians welcomed our volunteers with open hearts. 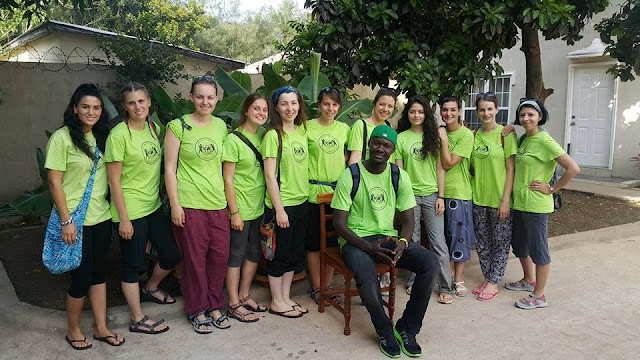 Now, they have become part of our big family in The Gambia. At this point we would like to thank to the government for creating the enabling environment needed for successful and productive projects presently and in the future. All volunteers have been raising funds before the departure so they could offer free meals to all the children participating in the summer school camp. The response of people in Europe was very positive so they raised much more than expected. In addition to a free meal every day and juice for all participants, all the teachers received a financial reward. Kids were also taken to educational school excursions at My Farm in the Nema Kunku area, which is part of Africa Startup Project from seed to business. In Slovenia, there was also a charity campaign going on for collecting school materials needed for activities at summer school camp. Children, parents & educational institutions supported the idea. There were new collaborative projects born so Gambian schools will stay connected to pupils from Slovenia and other European countries. Schools, companies and individuals were also collecting toothbrushes and toothpastes. Volunteers shared them among children in the school and at remote villages. In Barra, they distributed GMD 56.800 to 71 needy families, on the day of Eid. The team was part of the Eid celebration, which was an amazing experience for all volunteers and inhabitants of Barra village as well. This was the day when they first tasted local traditional food and of course they loved it. They also gave out many school materials, lollipops and balls to children. At the end of the day, volunteers surprised the local Falcon football academy, founded by Amet Faal from Barra, with jerseys donated by Slovenian company Navim. 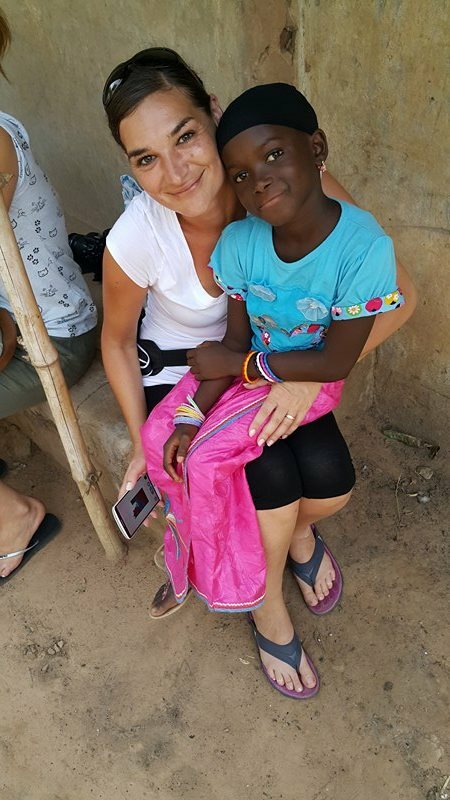 The company’s owner, Mojka Budihna, is also sponsoring a female child in The Gambia and is a regular visitor to this country. 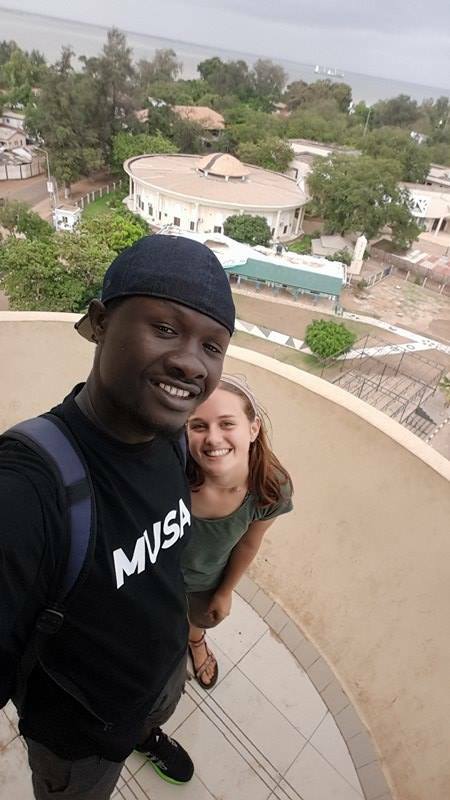 During holidays and on the weekends they were exploring The Gambia. They visited many places. When they decided to discover the Central River Region, their first stop was at Nyemtempo village, where they spent some time with children and people of this amazing village. They have also given out donations of GMD 15.000 to 36 families, who just couldn’t believe their eyes. They were very thankful. 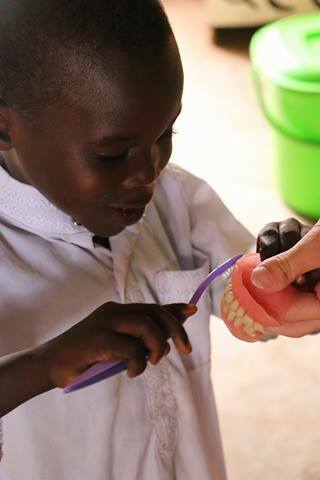 They also received toothbrushes, toothpastes, school materials and sweets. After visiting Nyemtempo, they continued their way to Tendaba camp, Wassu Stone Circle and stayed overnight at Bintang Bolong lounge. They went for a river trip to admire hippos in their natural environment, baboons, birds, etc and of course beautiful nature. They also visited Fathala Nature Reserve in Senegal and spent some quality time at historical villages Albreda & Juffureh. 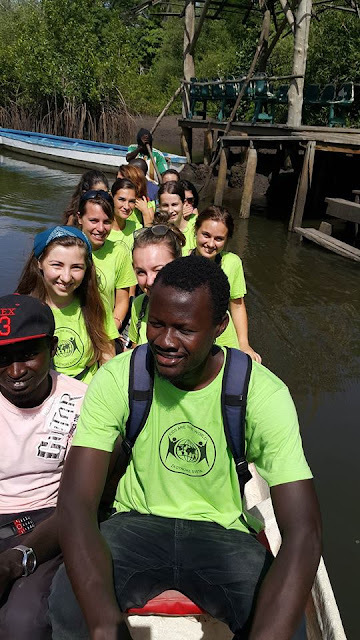 First they went to Kunta Kinteh island by boat, where they visited the museum and had a traditional lunch at the local restaurant. In the afternoon they visited the Jabang family and gave out GMD 30.000 to needy families of Albreda, some school materials and sweets. People were surprised, thankful and so happy. The team also surprised the Albreda local football youth club with jerseys donated by Slovenian football club Nova Gorica. The day before they left, they visited an orphanage and bought GMD 10.000 worth of food. The rest of the money, which was GMD 17.000, was donated for school fees for children coming from needy families. 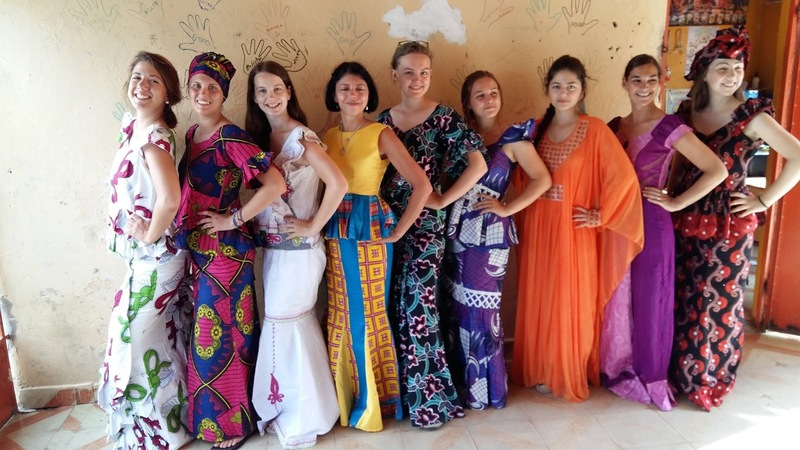 Our volunteering program is designed to combine all the goodness of The Gambia with the meaningful experiences people can gain while volunteering here. 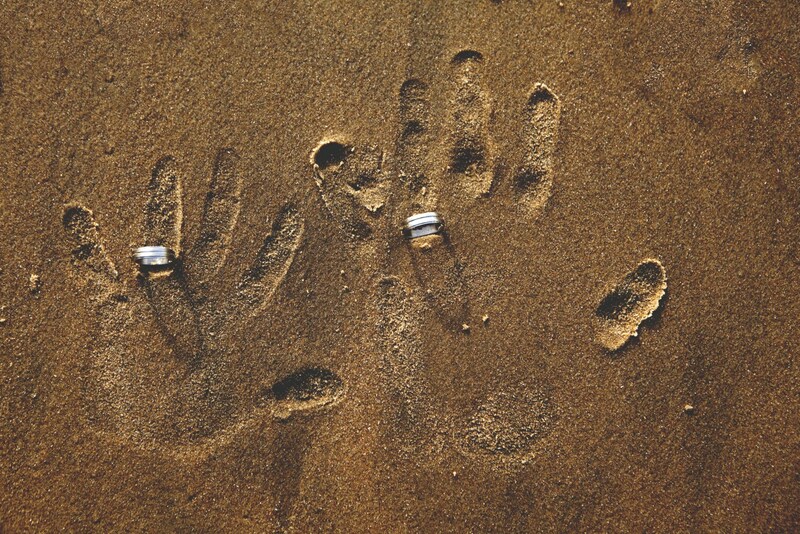 The Gambia’s unique charm lies in its smallness. It has many attractions just a short distance away and therefore it is becoming one of the most famous destinations in the world. 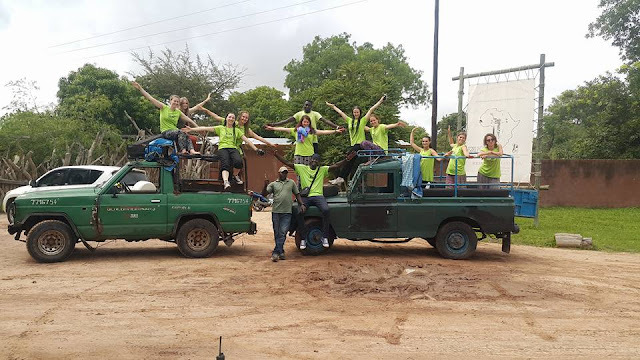 A combination of volunteering, adventure, relaxation and wildlife makes everyone’s holidays in The Gambia unique and magical. Following that mission, we encourage volunteers to visit and discover this beautiful country in West Africa. They were sightseeing at Banjul, visited Arch 22 built to celebrate the military coup of 22 July 1994, learned about history at the museum, shopped at Albert Market and enjoyed the crowds on the streets. They visited popular tourist spots like Katchikally Crocodile Pool at Bakau, Makasutu Cultural Forest, Lamin lodge, Tanji fishing village, Sanyang beach, Tunbung Art village at Tujereng founded by great Gambian artist, late Etu Ndow, historical villages Albreda/Juffureh, Kunta Kinteh island with museum, Janjabureh, Wassu Stone Circle, Central River Region, Fathala at Senegal, etc. Their presence alone had a very positive impact on the lives of the local people. By visiting the country, they had an indirect influence on daily earnings of taxi/bus drivers, bakers, fruit saleswomen, owners of a juice stand at the beach, staff on the local boats, salesmen at the craft market & local market, guides at tourist attractions, tailors, salesmen at local shops, etc. By paying entrance fees for different historical and other popular tourist sites, attending traditional Gambian music concerts and ceremonies, they supported local activities. Many volunteers, after seeing and meeting the families, have also decided to sponsor a child in The Gambia. 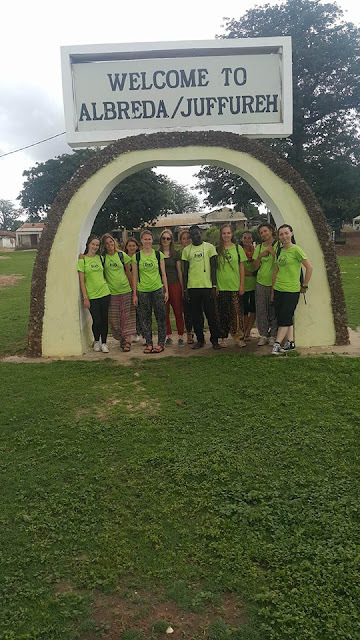 The idea of the ‘Travel as a Volunteer to The Gambia’ program was developed from the charity project ‘Sponsor a child’, which was started by a humanitarian organization, Charity Pearl The Gambia, in 2011. 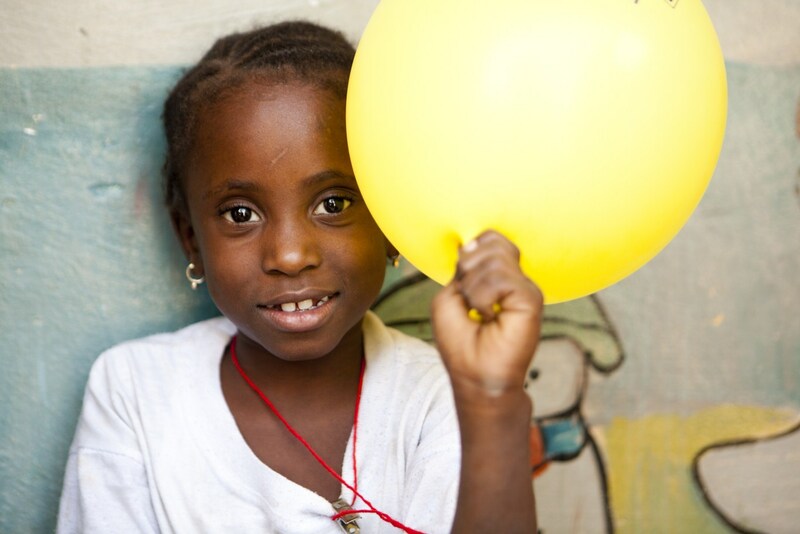 Four years later there are over 200 children sponsored by people from all over the world. 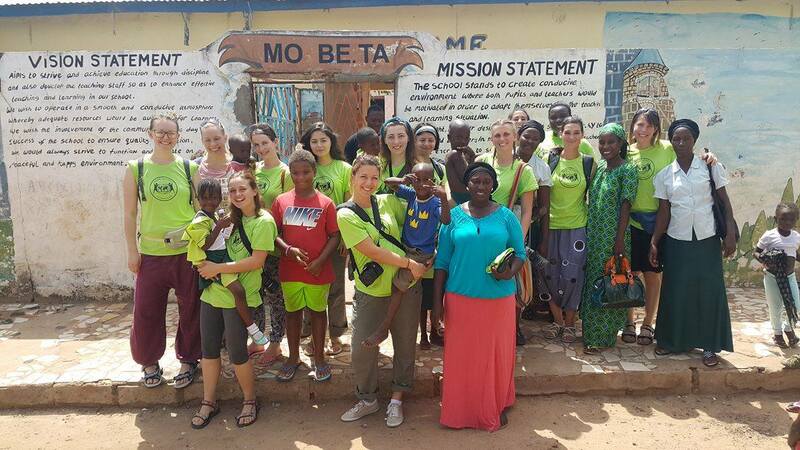 Its aim was to invite the sponsors to visit and get to know the children and families they are helping in The Gambia. Some volunteers were already included in our “Sponsor a child in The Gambia” before so now they got to know the kids they were helping, saw where they live and met all the family members. They brought gifts for them, bought food and other necessities like clothes and shoes for children. 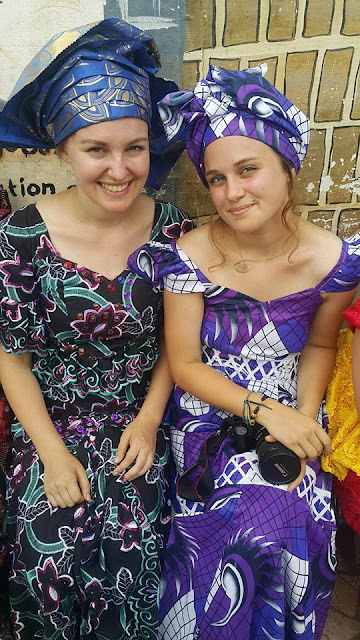 Travel as a Volunteer to The Gambia is changing lives, not only among Gambian communities, but also to foreigners that are coming to the country as volunteers. If we say thank you in the name of people who received help and also us who are trying to make some changes, is not enough. But we know that our prayers are strong enough so all the good work of volunteers will be rewarded. We are already looking forward to our fourth International Summer School Camp The Gambia 2017, which will take place in July. 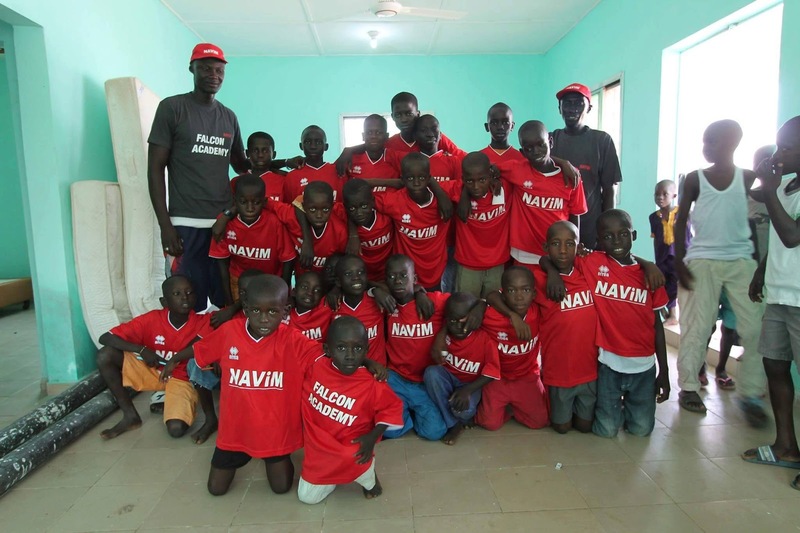 Our wish and our plans are also to build an Educational and volunteering center in The Gambia in the future. 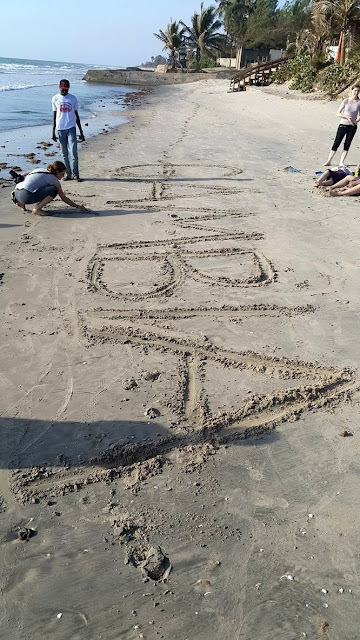 Help us to distribute a positive message around the world and invite everyone to travel as a volunteer to The Gambia, The Smiling coast of Africa. Thank you and we are waiting for you in The Gambia! For more information about SUMMER CAMP 2017, please contact us!